Found 45 blog entries for March 2015. Tuesday, March 31st, 2015 at 4:27pm. Monday, March 30th, 2015 at 5:19pm. Another successful class in the books on 3/29/15! Another group of confident home buyers ready to shop for a new home. Be sure to sign up for the next one if you're planning on buying a home and have any questions about the process. 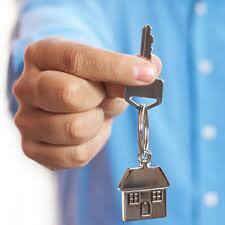 Or even if you don't but would like to take advantage of the down payment assistance programs. These classes are a Comprehensive, A to Z, Step by Step tutorial on the Home Buying Process. Great for first time home buyers and veteran home buyers alike. Taking the class is required for first time homebuyers to qualify for the Down Payment assistance programs. If you have owned a home before, but not within the last 3 years, you still qualify as a first time homebuyer. Monday, March 30th, 2015 at 1:15pm. What’s Holding Potential Sellers Back? Monday, March 30th, 2015 at 10:23am. Existing-home sales are up nearly 5 percent from last year, but sales would be much higher if it wasn't for the negative equity overhang, economists say. The National Association of REALTORS® recently reported that existing-home sales increased 4.7 percent in February compared to a year ago. But with an improving labor market, home sales should be even higher, Mark Fleming, chief economist at First American Financial Corp., told The New York Times. Home prices are higher too, which often correlates with rising home sales, according to Fleming's research. "Rising prices only crimp affordability for the first-time buyer who doesn’t yet own the asset," Fleming told The New York Times. "But the vast majority of home sales are to existing home owners. Friday, March 27th, 2015 at 1:57pm. Friday, March 27th, 2015 at 1:51pm. Friday, March 27th, 2015 at 1:09pm. The Responsive web design from www.TheCascadeTeam.com will resize and reformat page content in response to screen size and resolution. In short, our responsive website is one that looks good and performs well on traditional computers, tablets and smartphone. Its one size fits all – no separate mobile version required! Friday, March 27th, 2015 at 11:40am. More millennials are finally leaving their parents’ homes to form their own households, but they may need financial help to do it. A new report by consumer lender loanDepot shows that about two-thirds of parents – or 67 percent – will use savings to help their children buy a home. loanDepot surveyed 1,000 parents and 1,000 millennials (those between 18 and 38 years old) to find out about parents’ financial assistance in a home purchase. Seventy-five percent of the millennial-aged home buyers who received financial help from their parents said the assistance was what made it possible for them to buy a home, according to the survey. Thursday, March 26th, 2015 at 3:54pm.